« Plotter or Pantser How do Writers Write? YIPEE! I’m now a volunteer Role Model for Books in Homes charitable organization, to inspire young readers. 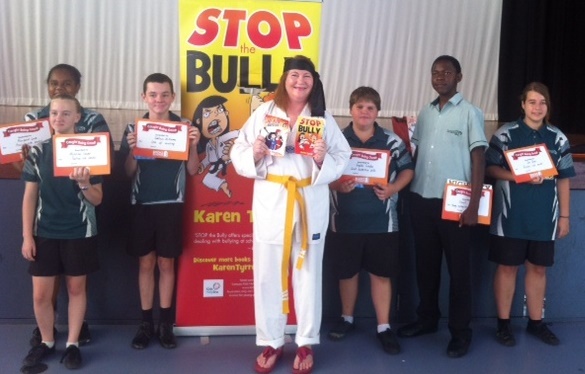 Today I handed out books at Loganlea High School Book Giving Assembly to promote literacy and the enjoyment of reading. Books in Homes is an inspiring foundation, donating books to kids in low socio- economic circumstances and remote areas. I’m so proud to be a part of the team. What does Books in Homes do? Involves whole-school-communities in creating a ‘value’ for reading. Supports schools to increase student attendance. Supports remote and low socio-economic schools by giving them equal access to books-of-choice as their more advantaged urban peers. Motivates families and students to view reading as an ‘everyday’ activity. Creates a legacy of books-of-choice in low socio-economic homes. How has Reading Transformed my life? ‘My name’s Karen Tyrrell. 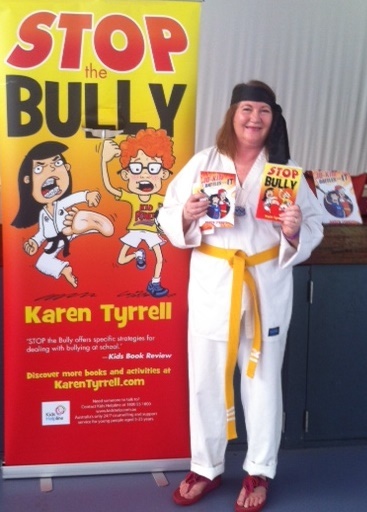 I’m a Logan award winning children’s author and school teacher. 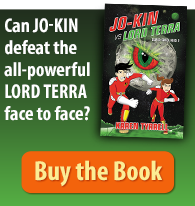 I write books to empower kids to live STRONG. 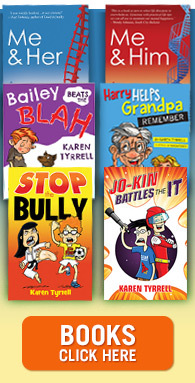 My hilarious book STOP the Bully teaches bully prevention skills and Jo-kin Battles the It teaches perseverance and to NEVER, ever give up. ‘I came from low socio-economic area in Sydney. My dad was a postie, my mum worked at home. I was bullied terribly in the playground. We had no books in our house. I learned if I worked hard at school, I could win book prizes as a reward. I turned to reading as a way to empower myself to live strong and to dream BIG. REMEMBER: It’s cool to Read & Succeed. How can we Motivate our kids to Read? 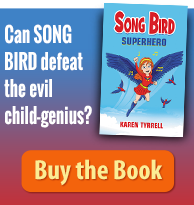 How can Books transform kid’s dreams and goals? Thanks so much for your very warm support for Books in Homes and the very wonderful work they do. Wow! I love this. I also live in an area that is low socioeconomic. I would to be part of this. You will really love giving back to the kids and to the school.